Water temperature stays constantly around 28°- 30°C (82° - 86°F) all year round. ​Normally a 3 mm Wetsuit is enough. 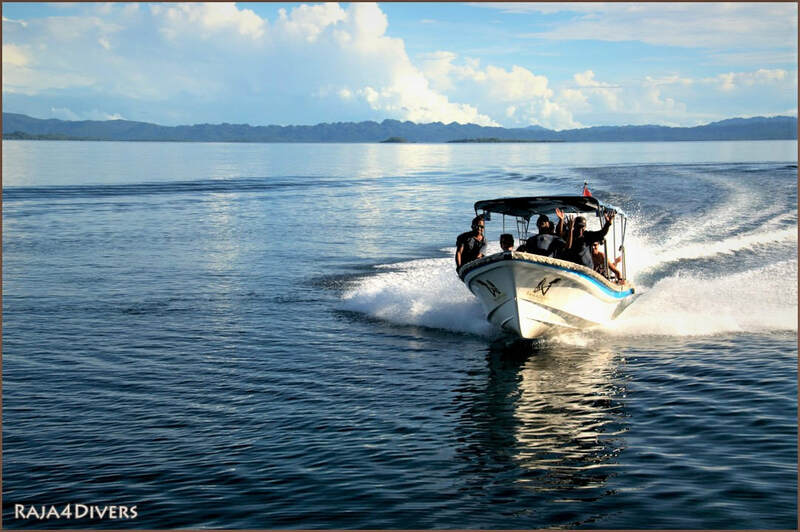 Because in Raja Ampat the Pacific and the Indian Ocean mix together, the water is extremely rich in nutrients. This results in limited underwater visibilities between 10 and 30 m (50 and 100 ft), but it means also, that we have a lot of marine life! Depending on the tide, strong currents can occur at some dive sites. There are always enough protected sites to enjoy an easy dive without current. 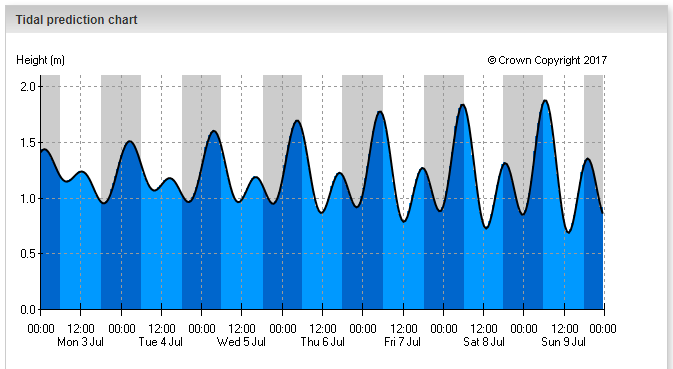 But if you like to, you can also benefit from currents, because: No current, no fish! For your convenience, please bring your own soft gear: Wetsuit, Mask, Snorkel, Booties and Fins. Diving Certifications and Dive Insurance are mandatory, please bring your cards along. Please don't bring gloves, you will not be allowed to wear them. ​The house reef just in front of the resort is easily dived from the jetty, with a great variety of fish, critters and a colorful coral garden. Night dives are convenient and productive, with the endemic Walking Shark often sighted. ​At times a school of Batfish reside under the pier, offering good photographic opportunities and often baby Blacktip sharks can be seen playfully hunting small fish in the shallows around the restaurant. 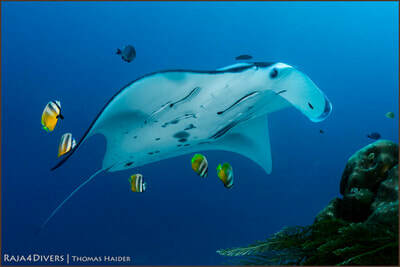 ​Diving is tailored to suit a fair mix of weather conditions, logistics and guests’ wishes. 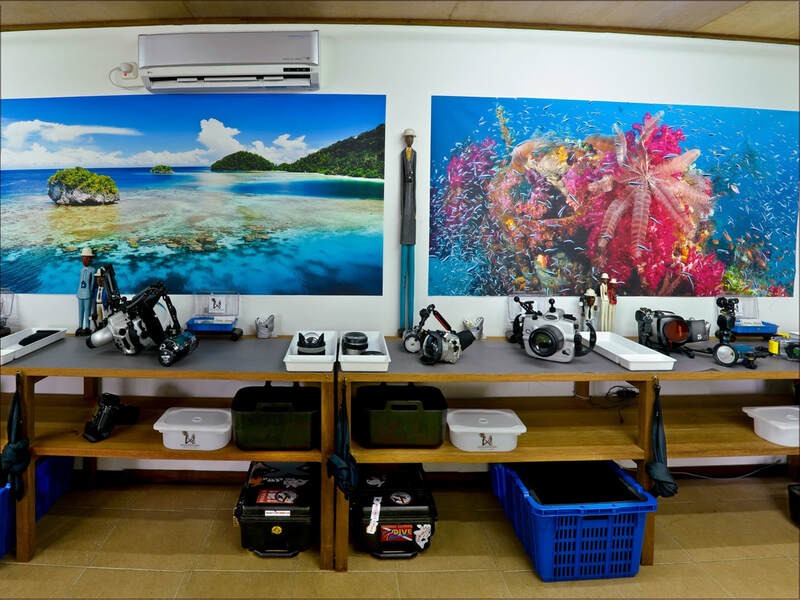 We have the choice of 60+ different dive sites, where you will find all your heart desires: from lush soft corals, to spectacular hard coral gardens, slopes, critter sites and manta spots. ​One of Raja Ampat's most celebrated dive sites "The Passage", a winding river-like gap between Gam and Waigeo, is very near by. 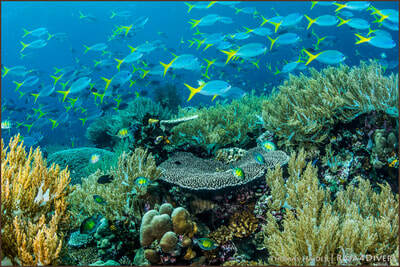 There is also the possibility to visit the famous Fam Islands with breathtaking viewpoints and very fishy dive sites. 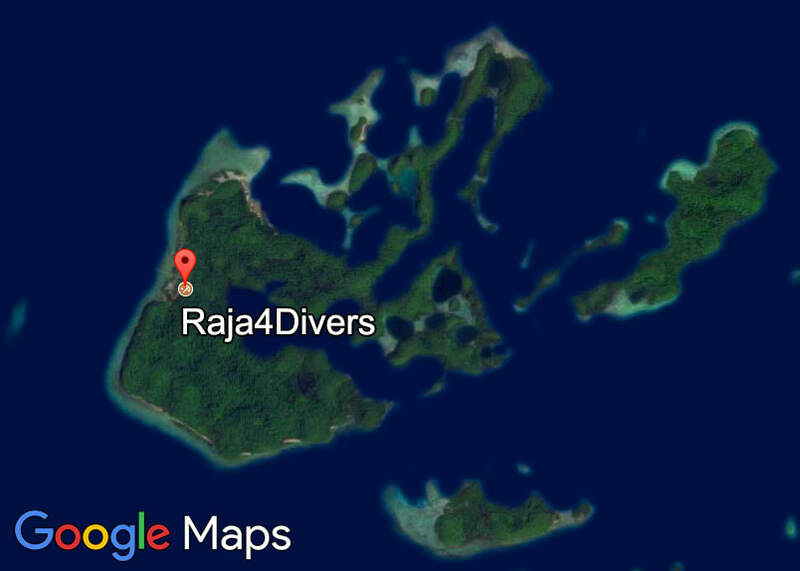 Dive sites are reached within 5 - 70 minutes. 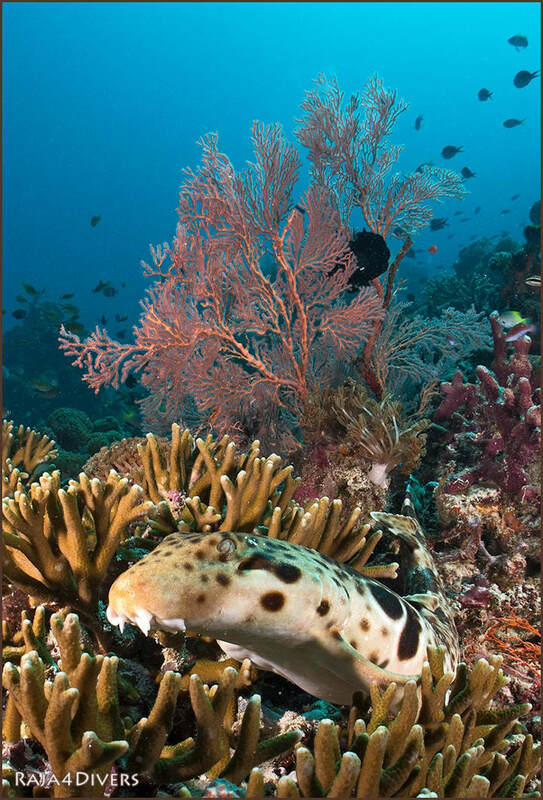 During a typical week, it is possible to see varieties of schooling fish, Pygmy Seahorses, Nudibranchs and small critters, Wobbegong Sharks, Reef sharks, endemic Raja Ampat Walking Sharks (Bamboo Shark), Bumphead Parrotfishes, Turtles, Giant Trevallys, Barracudas, Manta Rays and almost every Reef fish and critter you can find in books. Of course you will also find some of the healthiest hard and soft corals, which are the reason that scientists have named Raja Ampat "the Earth’s richest seascape". 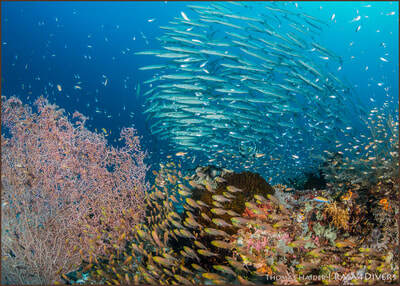 Raja Ampat is a real paradise for underwater photographers! Since we have a huge variety of small critters, but also amazing coral seascapes, huge schools of fish and big animals like mantas and sharks, you can bring your macro and wide-angle lens. 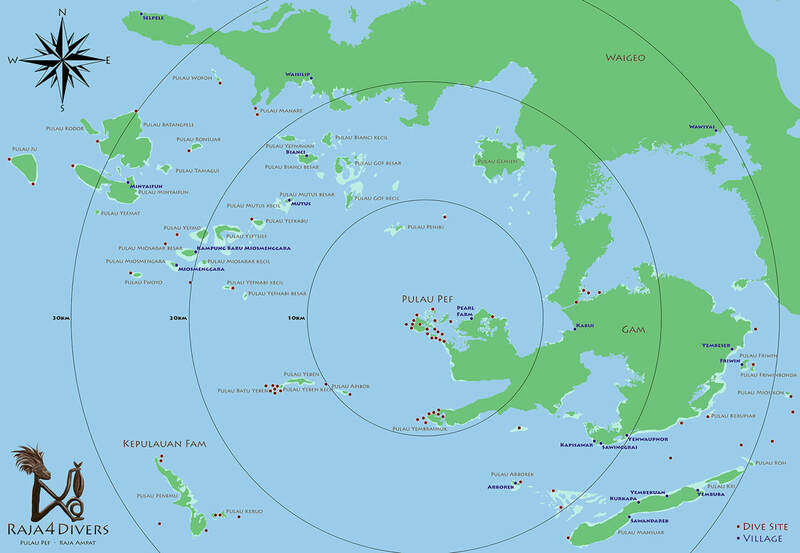 The Raja Ampat archipelago is very remote. In the unfortunate event of a diving emergency, the best care is far from Sorong. The nearest Hyperbaric chambers are located in Manado (Sulawesi), Singapore and Darwin (Australia). All guests must sign a Liability release. All diving guests must be certified Scuba Divers and must present a valid Certification Card upon arrival. All guests using Nitrox must be Enriched Air certified and must present a valid Enriched Air Certification Card upon arrival. Diving computers are mandatory. All diving guests must dive with computer. All dives are recreational and are planned within non-decompression limits. Diving guests who have previously experienced DCS must bring a letter of clearance from their Hyperbaric Doctor. An Surface Marker Buoy is mandatory, if you do not have your own, you will be issued with a loaner for the duration of the trip. Dive insurance is mandatory. All guests must have dedicated diving insurance which covers emergency evacuation and must present proof/card upon arrival. Divers Alert Network (DAN) is recommended. Please keep in mind, that your diving insurance covers accidents only within the depth limit of your certification. For Open Water Divers (max. 18 m) we offer the Adventure Deep Dive course that will allow you to dive up to 30 m.
We dive responsibly and do not touch anything underwater to avoid negative impacts on the reef and diver. Travel insurance is NOT the same as dedicated Diving Insurance, which is specific to diving emergencies. Travel insurance may not cover emergency evacuation and DCS treatment. Usually, surface intervals are spent with tea, coffee and snacks on one of Raja Ampat's beautiful beaches or sand bars. Explore the mangroves, the landscape of remote islands or simply relax in pristine nature. ​We provide towels and drinking water on all trips.